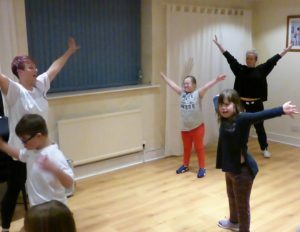 TriStars 21 Dance is a fantastic weekly dance class just for young people with Down’s syndrome, run by Jo Riddell at Dance House in Normanton. 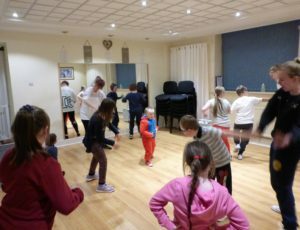 The class is suitable for young people from the age of five (younger children are fully included in Jo’s mainstream dance sessions) and was initially funded by the Lottery funding we won through the People’s Projects vote. 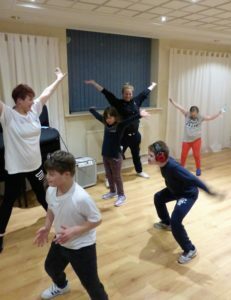 The sessions build listening skills, confidence and independence as well as developing physical ability, co-ordination and rhythm skills, and the young people are working towards performances within events such as the popular Normanton Gala as well as building friendships. 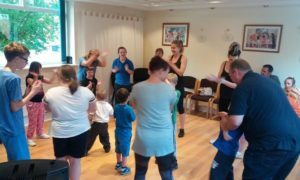 A few photos from recent sessions are included below, and here’s what some of our parents have said: “It’s a great way of keeping fit”, “this class enables my son to join in an activity which he loves, it gives him some independence, and helps him to build his confidence and express his creativity and emotions in a different way”, “our little one can have a great dance session one week, and then the next not so good, and we all just understand”. 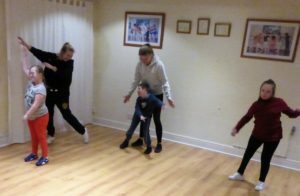 One of our dancers, Natasha, said “Dance is brilliant and fun. I love seeing my friends and Jo”. Another dancer, Toby, gives it a big thumbs-up!